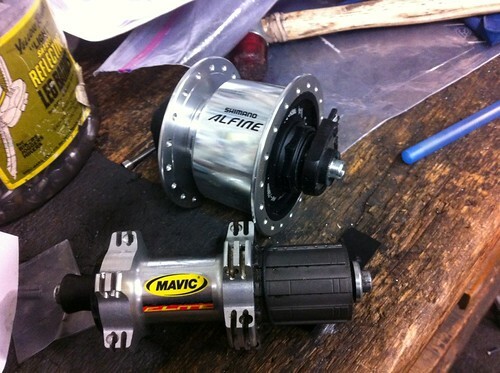 I was so impressed with the Biologic Reecharge, asked Mark V to build up a travel wheelset for the Modal, using an Alfine dynamo hub. That’ll keep the iPhone powered, mapping, and connected while we’re touring. Depending on the ride, my iPhone is either in the iPhone case or iBike Dash+Power. Still considering what light to run with the Dynamo.